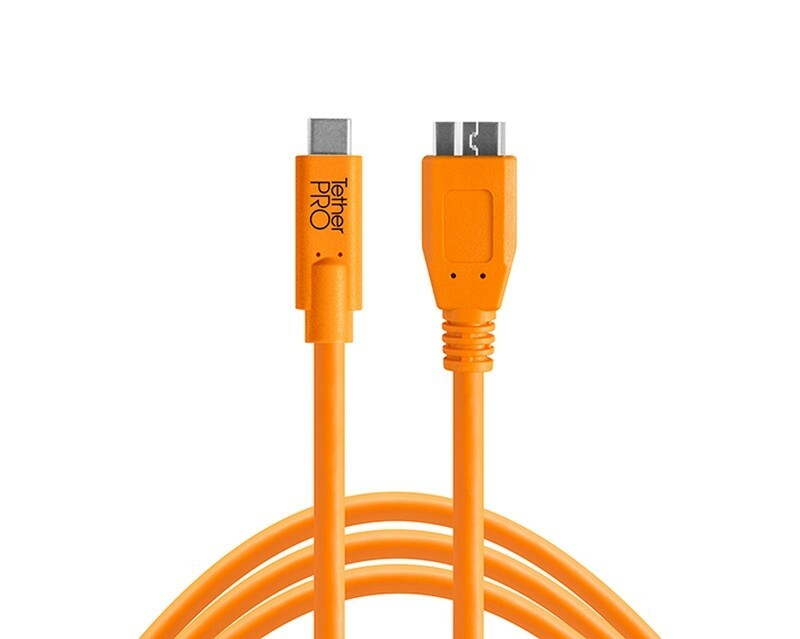 TetherPro USB-C to 3.0 Micro-B, 15′ (4.6m) Orange Cable for tethering a USB 3.0 camera to a computer with the smaller USB-C port. 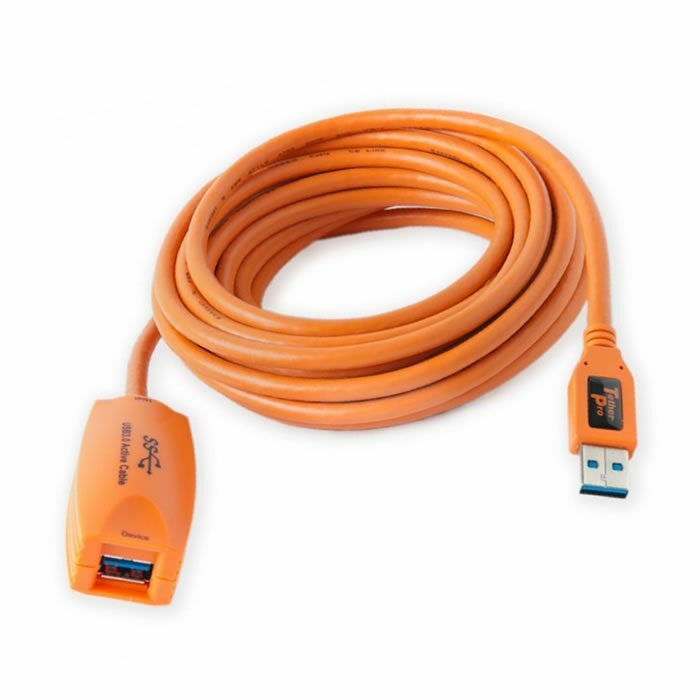 The TetherTools CUC3315-ORG TetherPro USB-C to 3.0 Micro-B, 15′ (4.6m) Orange Cable is the photographer’s choice for tethering a USB 3.0 camera to a computer with the smaller USB-C port. It allows for a straight connection with no adapters or dongles. On the camera side, USB-C is also fully reversible, so no matter how you plug it in, it’s always right side up. 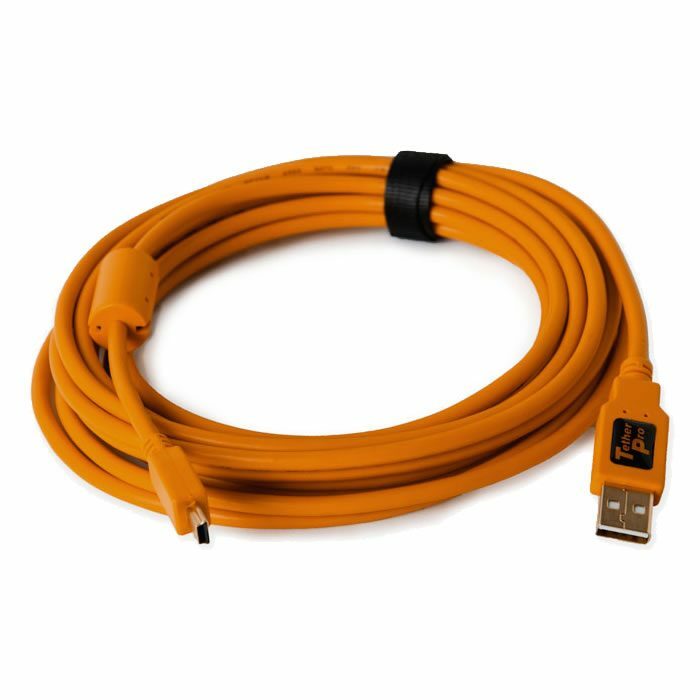 Note: This cable is for data transfer only. Please do not use for powering devices. 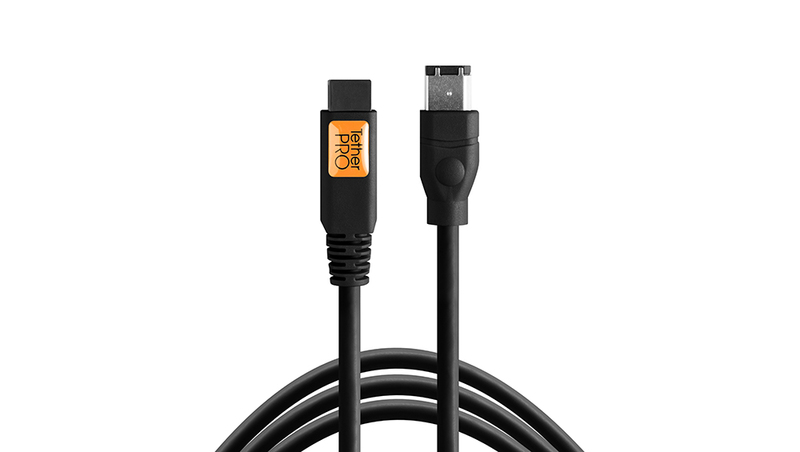 TetherPro USB-C to 3.0 Micro-B, 15' (4.6m) Black Cable for tethering a USB 3.0 camera to a computer with the smaller USB-C port. 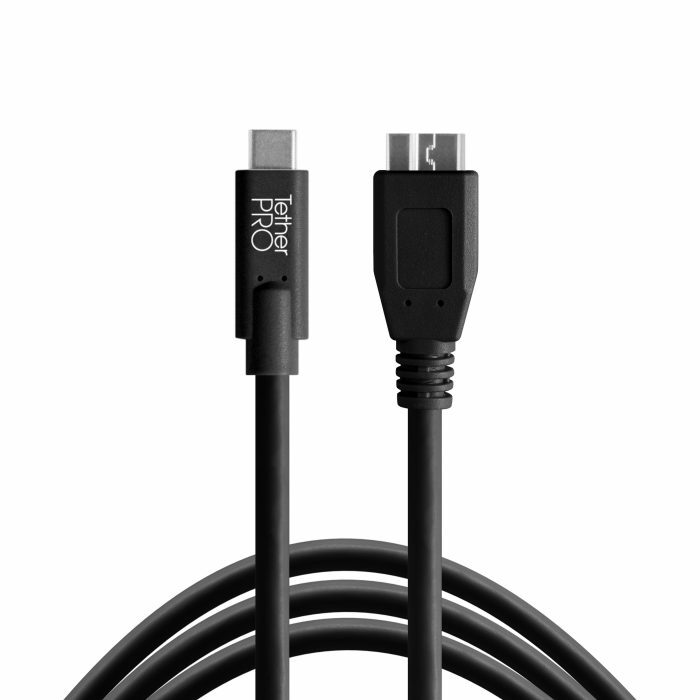 TetherPro FireWire 400/800 9-pin to 6-pin tethering cable is perfect for photographers looking to obtain a premium tethering cable with fast transfer speeds .